Every game is like a final in the run in of the Liga Iberdrola and the blaugranes produced the goods. 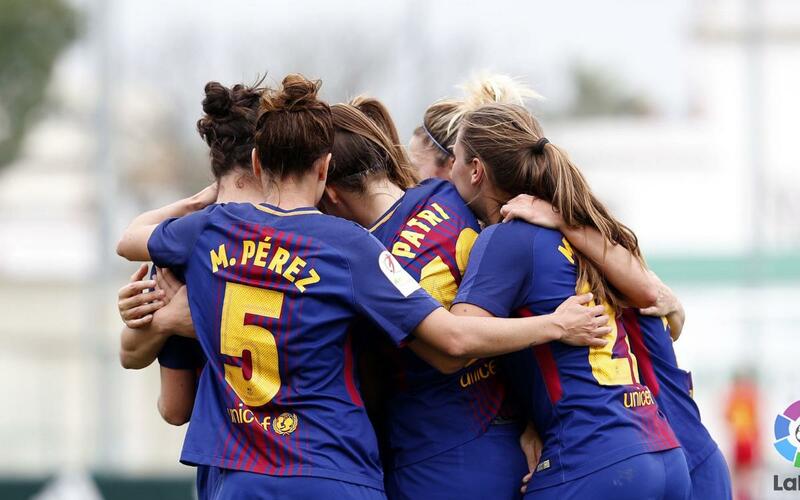 Betis hadn’t been defeated at home for five months until Barça won 2-0 thanks to goals from Duggan and Alexia. The blaugranes started well and they put Betis under pressure from the off. However, clear cut chances proved hard to come by and the home side came back into the game. Fran Sánchez’s side responded in the 40th minute with a powerful shot that hit the bar from Mariona Caldentey. Two minutes later, Betis’ Priscilla went close but Paños produced a smart save. At the start of the second half, Lieke Martens went close. She then went on a fantastic run ended with an assist for Tony Duggan’s opener (1-0). Betis were unable to stop Alexia’s header which doubled the blaugranes’ advantage and secured an impressive away win.